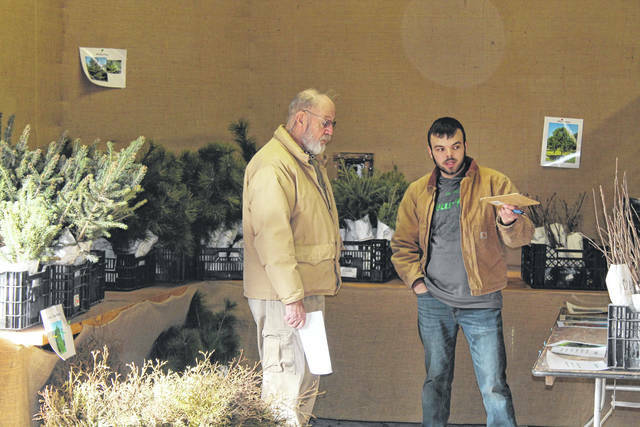 BELLVILLE — Clear Fork Future Farmers of America (FFA) Alumni, in partnership with Richland Soil and Water Conservation District (Richland SWCD), will have their annual tree seedling sale April 5 and April 6 at multiple locations. The sale proceeds benefit Clear Fork FFA programs. Clear Fork High School back parking lot, Friday, April 5 from a.m. to 5 p.m.
Planktown Market near Shiloh (at inside door), Friday, April 5 from 9 a.m. to 5 p.m. The tree seedlings cost $10 per bundle of eight. Sales are available on a first-come, first-serve basis with cash or checks only being accepted. All sales are final with no guarantee of survival. To make arrangements to purchase all left-over seedlings, call Jim at 419-564-3881. Tree species include: Norway Spruce; White Pine; Douglas Fir; Arborvitae; White Oak; Sugar Maple; Persimmon; Tulip Poplar; Red Oak; Black Walnut; Scarlet Oak; Black Cherry; Flowering Dogwood; Red Mulberry; Ohio Buckeye, Dawn Redwood and Tree Nut pack. Bluebird Houses will also be available for purchase.